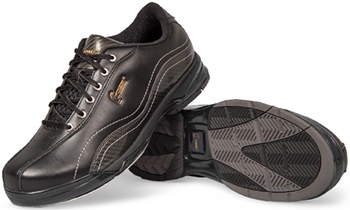 The Hammer Force is the first high performance Men's bowling shoe from Hammer. This shoe is loaded with features that were designed to enhance performance as well as comfort. These Hammer shoes require minimal break-in time and have interchangeable soles and heels so you can customize your approach.